Translating an eLearning course is a complex process which needs to be monitored at every step. It typically involves six steps irrespective of the number of languages into which the course is translated. The steps involved are mostly the same whether the course is developed in house or is outsourced. The first and foremost step in the translation process is to review the source content. Once the content is reviewed, inputs are taken from the client. Based on the content analysis and client inputs, content is divided into text, animations and images. A translation style guide needs to be designed along with story board specifying the elements that need to be translated. Detailed instructions for the translator need to be specified in the story board for better quality translation. Translator interprets the story board and narrates the audio script based on the instructions provided in the story board. 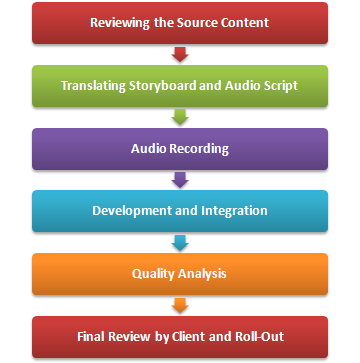 The translated story board and audio script will then be reviewed by the subject matter expert and native speaker. This ensures that the course retains the quality and clarity of the original course. Once the reviewed audio script is received, it is sent for recording by the native narrator. Instructions are mentioned in the audio script for the narrator, and he narrates the audio script following them. Course development starts simultaneously along with the audio recording process. The text and images are localized based on the target audience, paying attention to regional and cultural sensibilities. Once all inputs are received, audio is integrated into the course and the final version is developed. Once the final course is developed, it is tested for technical functionality that includes interactivities, audio files synchronization and accuracy of language. After going through all these steps the course is sent for client review and approval. Once the client approves the course, it is ready for roll out. Knowledge is better absorbed if it is in learners’ native language. Hence, translating your eLearning courses ensures better learning for your target learners. However, there needs to be a standardized process so that your translation goals and timelines are met easily. It also ensures that the translated courses accurately reflect the subject matter and content of the original course. 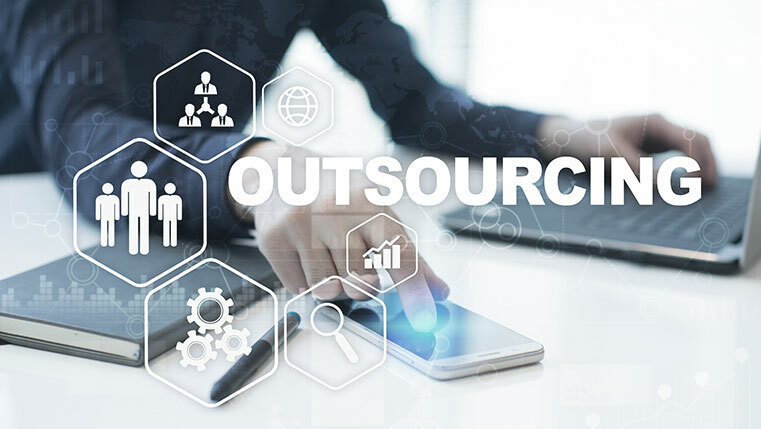 Should Your Translations Be Done In-house or Outsourced for Better ROI?